Most consumers are unaware but when renewing or updating your existing passport the passport number will change, this is due to many reasons however the most important is the prevention of fraudulent activity. 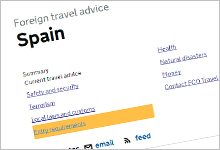 This article explains more about the passport number change and how you can be cautious when booking travel arrangements or applying for visas knowing that your passport number will change. Your passport number is also used for other documents and is used to verify your identity, so it's important to know where it is on your passport and how to find it. British passports have numerous security features, including specialized printing techniques, watermarks and holograms, alongside a continuous personal details page: the method of construction of this has never been seen before. Your passport number is a unique 9 digit number allocated to each UK passport upon production. This number is allocated to the passport document and not to you as a person, the passport number is valid for use as identification purposes for the life of your passport. This number also holds information on where the passport was issued. Your passport number can be found on the top right-hand corner on page 1, your personal details page of your passport. This number is also repeated down the bottom left-hand side of your photo page. This number does all contain extra digits so please be care when using this when booking your travel. This number also appears perforated throughout your passport on every page at the bottom of each page. The number contains different shaped perforated holes that get smaller as you progress through the passport. When do I need to use my passport number? Your passport number can be used for many things, the main reason for this number is to securely identify your passport among the other millions of passports. You will also need your passport number when you're booking a holiday or a flight. This will be used to verify your identity and confirm your booking. 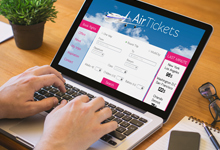 Many travel sites and airlines will not allow you to book your travel without it. If you are travelling to a country that requires you to have a visa your passport number will also be needed. You may be required to send your passport with your visa application, as well as filling the relevant parts of the visa application. Many people are unaware that you may be asked for your passport number for lots of other things apart from travel and visas. Your passport number is also used to verify your identity in many ways. This might be when applying for a criminal record check with DBS, when applying for a new job or higher position within a large company. As your passport is commonly used for identification purposes and along with your name and photo the passport number can be used to trace each individual. Will my passport number change when I renew my passport? 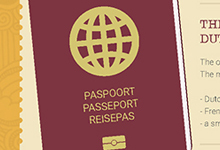 Many people think that your passport number remains the same, even after you have renewed your passport. This is not the case. Your passport number belongs to the passport and not to you as an individual. A key factor into why your passport number changes when you renew your passport is down to fraud prevention. If your passport has been lost or stolen criminals could potentially use this information to steal your identity. This is one of many security features help The Passport Office stay one step ahead of fraudsters. If you are or have used your old passport number for identification purposes for any personal checks relating to protentional employment you may need to inform of your new passport number once it has arrived. Thousands of people take advantage of booking early for their holidays and travel plans. This can reduce cost as well as stress and help keep you prepared for your upcoming trip. One of the main problems with this is that these travel plans could be months or even as much as a year in advance and within this time frame you may well need to renew your passport. If you have already booked your travel and you realise you need to renew your passport, don't panic, urgent passport appointments are available to renew your passport. Once you have renewed your passport you simply need to contact your travel provider and/or your visa provider to inform them of your new passport number. The Passport Office will return your old passport to you, so you will have both your old and new passport numbers to make these changes. Please be aware that some airlines will not allow you to fly if your passport number does not match the passport number you used when booking your flight. You may also be charged additional admin fees to change these details through your airline and/or travel provider. Charges, if any vary by provider as does the amount of time you have to change these details. If you are in any doubt contact your airline or travel provider as soon as possible and they will assist you with further information. There are two ways to renew your passport, either online or by post. It is important to remember that however you make your application make sure you allow plenty of time before you travel. A standard application can take between 2-4 weeks and in peak season which is May to August the wait increase to between 3- 5 weeks. 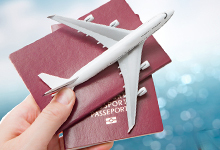 If you are travelling within the next 4 weeks we would always recommend you book an urgent passport appointment These appointments aren't suitable for first time passports or passport applications for lost and stolen passports. To apply by post you will need to collect an application from your nearest Post Office, you may want to get a spare application as 3 or more errors on one application will result in your application being refused. Your application will also come with a guide to help you fill it out. If you decide to apply by post please be aware that once you have sent your application you can not speed up your application. This is why it is extremely important to know your travel dates and allow plenty of time for your application to be processed. If you are travelling within the next 3-4 weeks you may want to use the 1 day Premium or the 1 weeks Fast-Track services. Can I book my travel plans without my new passport? It is possible to book your holiday or travel plans without a valid passport, but The Passport Office does not recommend this as without a valid passport you will not be allowed to travel and may resort in missed flights and a loss of any money you may have paid out. As we have said previously it's key to be aware of upcoming travel plans and leave a sufficient amount of time as The Passport Office will not take any responsibility for missed travel. You are unable to use the urgent services if your passport has been lost or stolen, unless in extreme circumstances. You may be able to use these services in cases of a medical emergency or a bereavement, but you will need to contact The Passport Office and will need to provide proof of your personal circumstances. Whether it's booking your holiday, organizing your travel plans or renewing your passports, being one step ahead and booking in advance can save you time and money. Not only is it great way to save money as many of the best deals can be found months ahead of when you want to travel, but knowing that everything is all done gives you great piece of mind. With the upcoming Government price increases as well as overall price hikes in the travel industry booking in advance is certainly the way forward. Booking in advance also allows plenty of time to make sure your using an up to date passport number. Ensuring you have all of your personal documents up to date is extremely important and having an up to date passport and passport number is paramount to not only use for your travel plan but as a means to verify your identity.